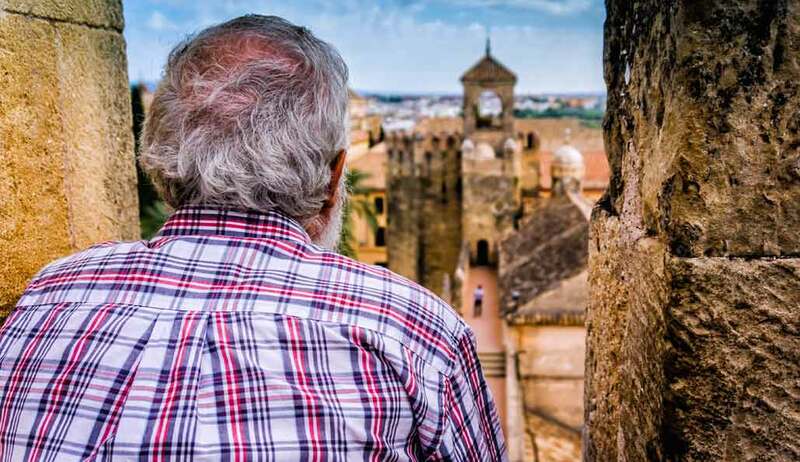 Enjoy our Seville to Cordoba day trip by comfortable bus and a local expert guide. Explore the Mosque-Cathedral of Córdoba, the world's third largest mosque. Admire the Alcazar, ancient fortress and palace. Walk along the lovely “Calle de las Flores” in the marvelous Jewish Quarter. 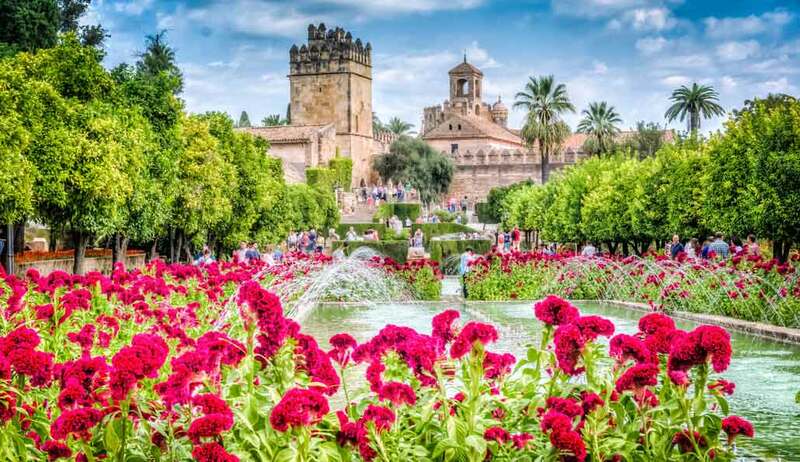 Join to our Seville to Cordoba day trip by comfortable bus and accompanied by a local expert guide. Once in Córdoba, we will visit the sights of the city: the Alcazar, the Jewish Quarter and the Mosque-Cathedral. 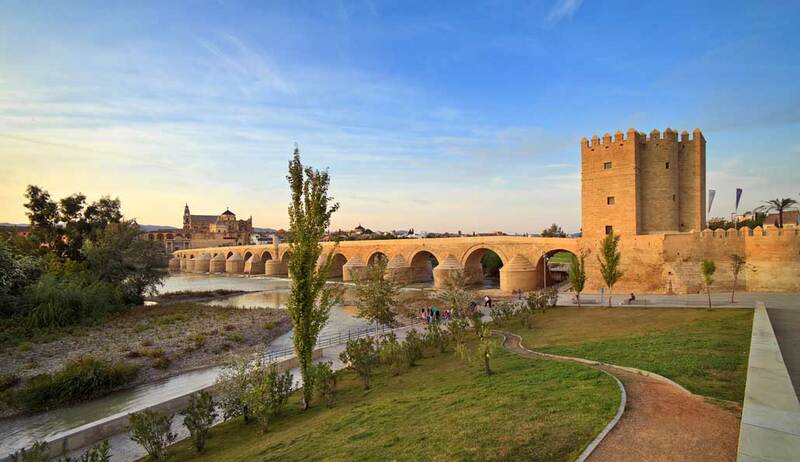 We will begin the tour in Córdoba with the majestic Alcazar, ancient fortress and palace. We will explore inside the Alcazar and take a relaxing walk throught its beautiful gardens. We won´t miss the marvelous Jewish Quarter with its narrow streets full of life. We will walk along the lovely “Calle de las Flores”(The Flowers Street) one of the most traditional places of Córdoba and visit the only Synagogue in Andalusia. Once we´ve explored all the Jewish Quarter secrets we will visit the inside of the Mosque-Cathedral of Córdoba declared World Heritage Site, a spectacular witness of the Caliphate period. It is the world's third largest mosque and stands out for hundreds and decorated archways and columns supporting its roof. After the Mosque tour, you will have some free time to walk around, to have a traditional lunch or to do some shopping before return to Seville. If you want to visit Cordoba and the beautifull Carmona village, please check our Córdoba & Carmona tour from Seville. The tour is guaranteed in the selected language. However, sometimes the tour could take place in two languages simultaneously, in the selected language and a second language. Meet your guide to begin the tour at Bécquer Hotel on Reyes Católicos Street, 7. Seville. If you desired pick-up at your hotel in Seville city center, please select the hotel from the hotel list available, at the time of booking. The meeting point details will be available on your voucher. "Todo bastante bien, la verdad." Nos fueron a buscar al hotel y eso lo agradecimos. Nos hubiese gustado estar mas tiempo en la Mezquita. Hasta el día de hoy la mejor guía que hemos tenido, FABULOSA !!! !